Some comparisons, first of the Raimi costume with the Amazing Spider-Man 2 model, then ASM1 and 2 side-by-side. This looks much, MUCH better than the original outfit. The first one looked funky and weird with the track running shoes and tiny eye pieces. for the remainder of the film series. The costume from the first Amazing Spider-Man film sucked. 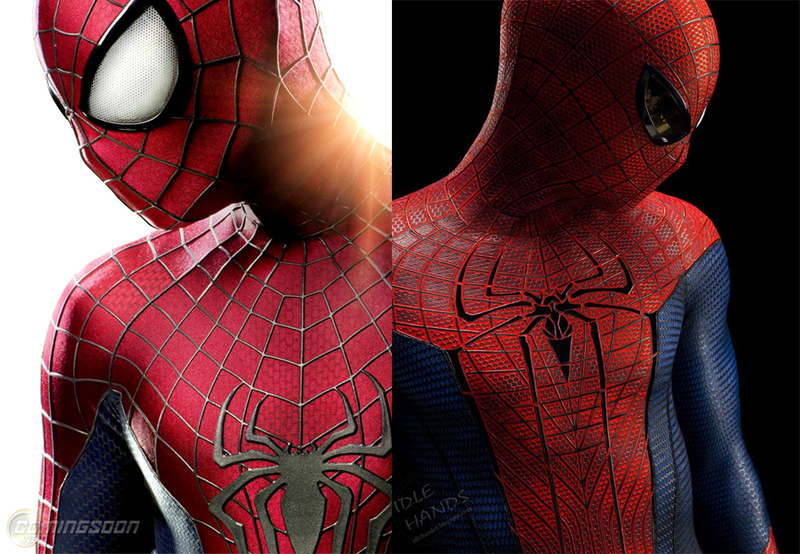 I'm so glad they went with the original comic book design for the sequel. 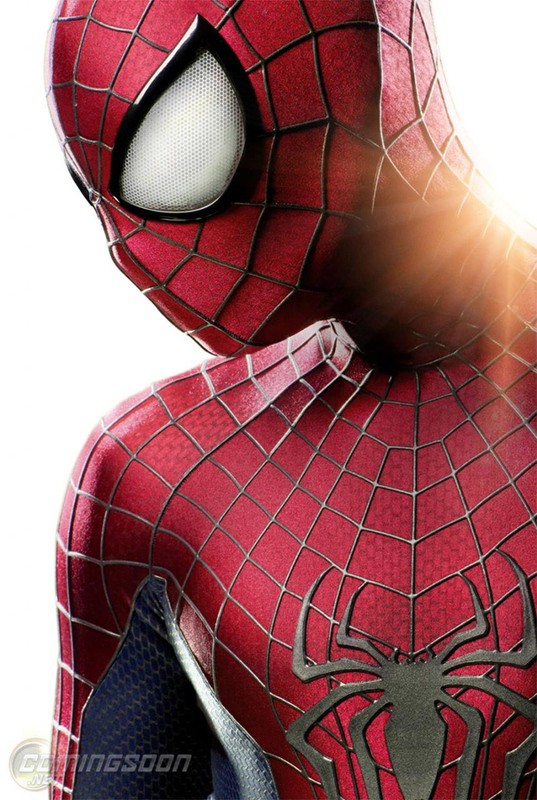 I absolutely adored the suit from ASM1. I thought it was fresh and loved the material it was made out of most of all. 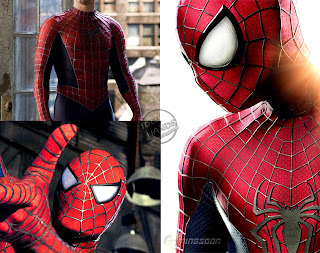 I also liked that the webbing was black and not overlayed/protruding from the suit. 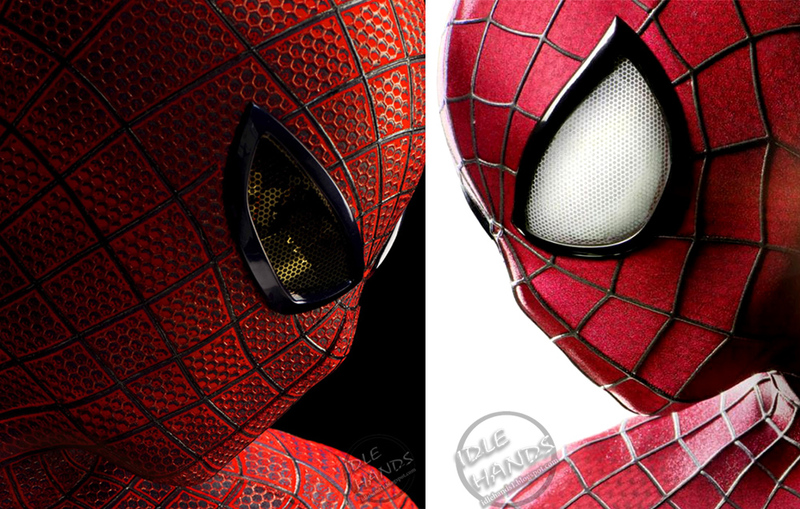 I didn't like the orange-ish eyes but I hate the fact that they went back and changed the design to what we got in ASM2.